Marpole Mixed Feb 26th-28th Sign Up Now! Gold Rush Good Time. Home / About / Marpole Mixed Feb 26th-28th Sign Up Now! Gold Rush Good Time. 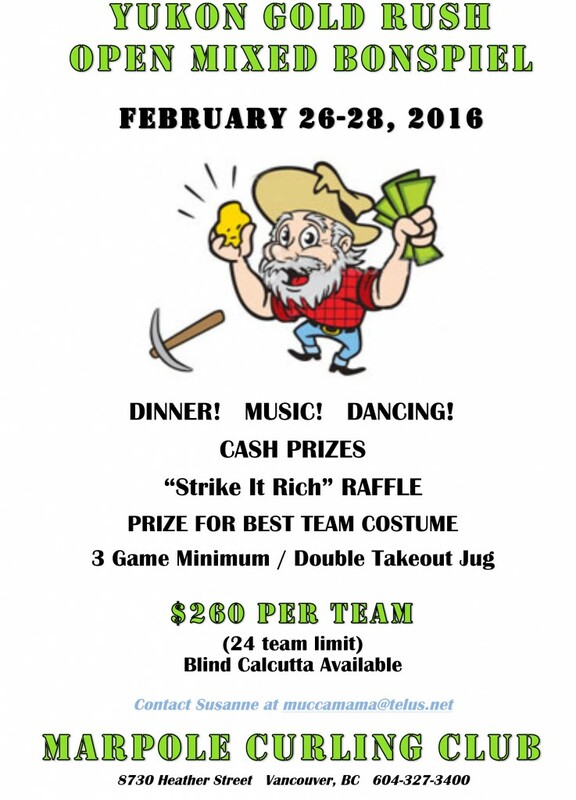 We are looking forward to hosting our Annual Mixed Bonspiel on Feb 26th-28th. It’s going to be a Gold Rush Good Time. Sign up an Open Mixed Team (1 person of the opposite gender curling 3rd or higher) and get in on the great competition, ice, food and fun! See you there! In About, Bonspiels, Events, News, Special events. Bookmark the permalink. ← Beginner’s Clinic. See what Curling is All About!